Marvel is prepping to begin shooting The Eternals this year with Angelina Jolie and THR is reporting that Kumail Nanjiani is in negotiations to star alongside. Nanjiani’s character details are being kept secret but Jolie is to be playing the character named Sersi, a more outgoing Eternal who has not been afraid to move amongst humankind. The project is being helmed by Chloe Zhao, based on the comic book series created by Jack Kirby in 1976. 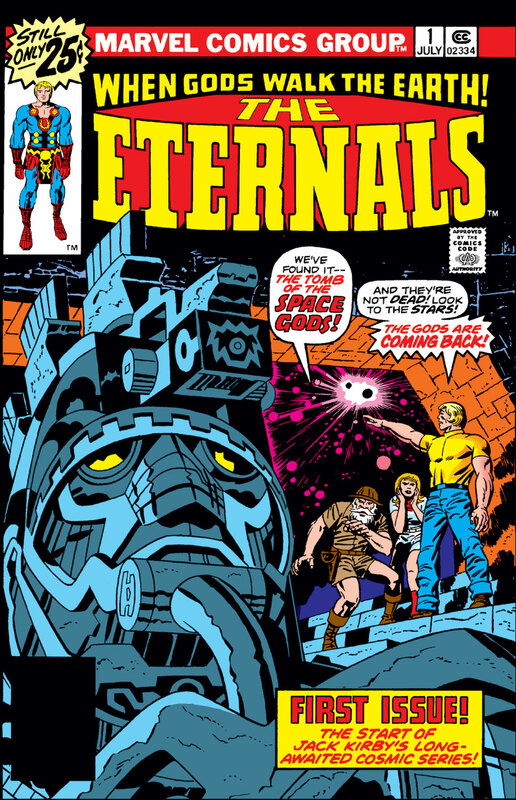 Author Neil Gaiman revised the series in the early 2000s which features the superpowered and near-immortal beings known as Eternals and a more monstrous offshoot known as the Deviants that were created by cosmic beings known as Celestials. That cover is gorgeous. 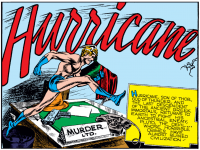 Its always so crazy to me how you can tell so much about the time period a comic was released in just by the cover. I wanna see the crazy Jack Kirby visuals like in Rangarok. I know they arent in a hurry to add in the X-Universe but I sure am! Give me that mercy! They will likely get to the X-Men eventually, but I don't think they're in any sort of immediate hurry. Black Panther and Captain Marvel both did over a billion, Spider-Man: Homecoming did over 800 million and while not as popular, the Doctor Strange and Ant-Man/The Wasp movies also did well enough at the box office. They've got enough franchises now that even if they really do kill off Iron Man or Cap in Endgame, they've still got a lot of big draws. I actually could totally see them start planting the seeds for the FF, though. Maybe Silver Surfer cameo in Guardians 3. Nope, not feeling this one. I'm getting that whole Inhumans vibe off this one. I know their hoping to reproduce some kinda GOTG phenomenon here but it just isn't gonna happen. I think Marvel's best bet is to hand the torch to X-Men and FFASAP and then reboot the entire Avengers franchise as soon as possible. Im interested to see what they do with it , but I do agree the best bet is to pull the mutants into the fold as soon as possible. I hope they go all out with this movie. Thats what I was thinking as well! Hed be perfect for the role I think. He has to wear this costume though!!! Itd be so sick!